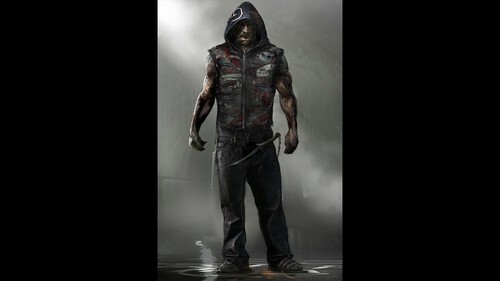 'Suicide Squad' Concept Art ~ Killer Croc. VUDU's exclusive look at 'Suicide Squad' concept art.. HD Wallpaper and background images in the Suicide Squad club tagged: suicide squad 2016 movie film killer croc concept art artwork vudu photo. This Suicide Squad photo might contain wamevaa vizuri mtu, suti, suruali nyayo, pantsuit, mtu wamevaa vizuri, suti ya suruali, suruali kwa muda mrefu, kwa muda mrefu suruali, suruali ndefu, outerwear, and overclothes.